The CHIP IN Education Initiative has now concluded. Please visit the archive to view all of the mailings from the initiative. 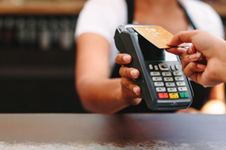 Did you know that after one successful transaction, consumers understand how to use their new chip card? Let’s make their first impression with chip technology a positive one, and make paying with chip the “new normal” this year by educating consumers and small businesses about the new chip cards appearing in their wallets and stores. What is the CHIP IN Education Initiative? Communications tips to ensure accurate and consistent reporting on chip cards.